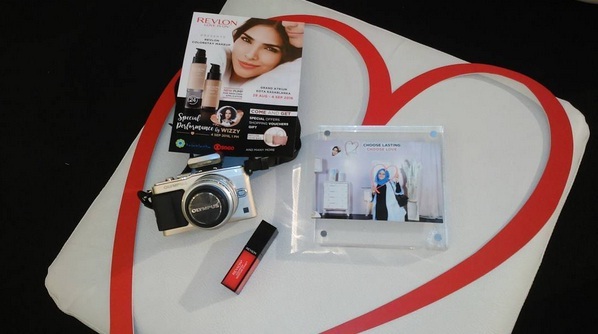 I was invited to attend Diana Rikasari feat Revlon's Beauty Talk Show and Meet and Greet at Atrium Kota Kasablanka, Jakarta. The invitation was based on Instagram's pictures with hashtag #DianaxRevlon ranking, and alhamdulillah i was very delighted to be invited. at first i have no idea what will be the main topic of the talk show, until they challenged us to make a picture for beauty or blog content. The submission will be end in 15 minutes forward then i submit the picture bellow. My husband, who took me to Kokas, was waiting for me inside the car [poor him, he has no idea what to do without me :( , was really patiently waiting. thanks Hubby! Okay, that's all i wanna share, what had happened this last saturday. i hope i can share a lot later, and don't forget to jump to my Youtube Chanel, also my Instagram page. If you find that you need to contact me for any reason, just drop your comment bellow or get me trough email: aiusugeng@gmail.com or strike me via line: ayuputrisugeng.